On its launch (on CD-ROM), English Poetry was described by Edwin Morgan as a 'Shelleyan universal anthology waiting to be dipped into by random hands', and since then it has become recognised as an indispensable research tool for scholars and students from around the world. For the second edition of this ground-breaking project, the bibliographic basis has been brought up to date through the addition of works representing both of the literary heritages of Commonwealth and ex-colonial countries and of the poetic legacies of English writers who have only been brought back to scholarly attention during the last thirty years. 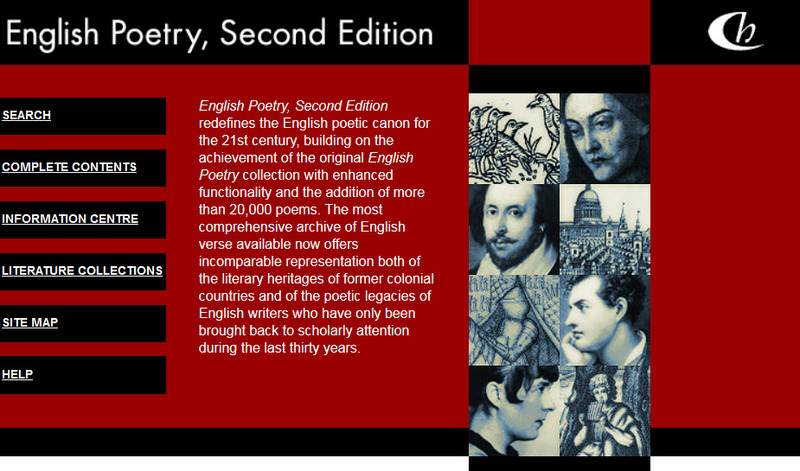 English Poetry, Second Edition contains over 183,000 poems, essentially comprising the complete canon of English poetry of the British Isles and the British Empire from the 8th century to the early 20th. Drawn from nearly 4,900 printed sources, more than 2,700 poets are represented. Full details of the volumes included in English Poetry, Second Edition are given in the bibliography.